Our mission at Ricardo is to support the evolution of the marine industry towards an efficient, sustainable and low-carbon future. 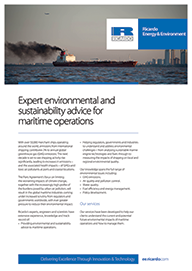 Ricardo has long been engaged in the marine sector and fully understands the challenges of increasingly strict emissions legislation, and the imperative of improving ship energy efficiency and reducing fuel consumption. 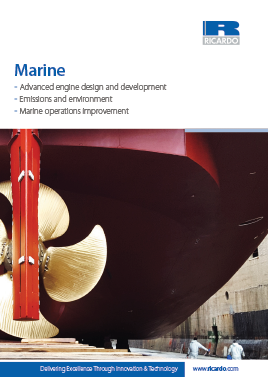 Ricardo supports the marine industry in meeting these challenges by offering its expertise in an independent and impartial manner. We offer a level of industry expertise and technical capability that few others are able to match. For an industry under pressure to improve engine fuel efficiency, tackle emissions and reduce total cost of ownership, we are uniquely placed to assist with engine projects of all types and applications. Whether for minor component upgrades or new high-volume product families for multiple international markets, our expertise extends across the full product life cycle. Deep technical knowledge, complemented by an expansive strategic consultancy offering, uniquely positions us to support clients across every stage of the product development process, from clean-sheet design to manufacture, testing and product launch. 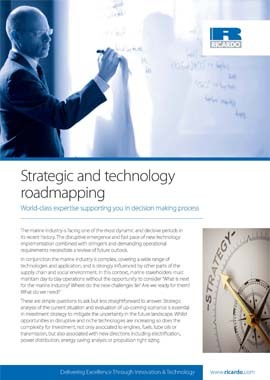 In a sector under more scrutiny than ever, and on the cusp of a new technological era, choosing Ricardo as your technical partner sends a clear message to the market that your business is committed to delivering innovative, high-quality products to its customers. With shipping activity on the rise and emissions already contributing 2% to annual global greenhouse gas emissions, Ricardo can help you manage your emissions impact. 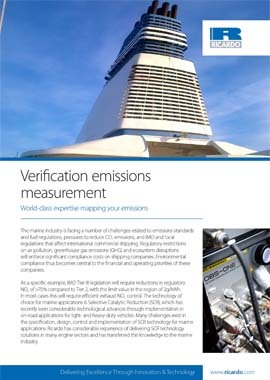 The marine industry is facing a number of challenges related to emissions standards and fuel regulations. Ricardo can assist in the validation of improvement initiatives to enhance vessel performance. With dynamic changes occurring in the marine industry our team of experts can guide you strategically for the best outcome. We offer a level of industry expertise and technical capability that few others are able to match.